Ecorated with awards and remarkable acquisitions, leading Doha-based hotel developer, owner and operator, Katara Hospitality recently celebrated a major milestone – reaching its goal of owning or managing 30 hotels by the year 2016, ahead of schedule. As part of the $251 million deal, the hotel, a historic monument dating back to 1906, will undergo a five-year extensive renovation including a makeover for its guest rooms and upgrading of hotel’s public areas. 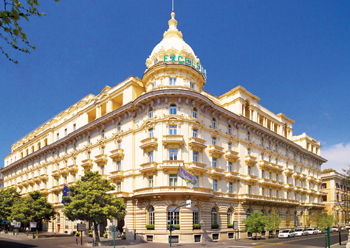 This holds true for the company’s recent interests within Europe where it has opened properties including the Excelsior Hotel Gallia – A Luxury Collection Hotel, Milan; The Westin Excelsior Rome, and The Peninsula Paris. The Royal Savoy in Lausanne, Switzerland is set to open later this month. Dating back to 1909, the hotel has added to the ‘lustre of Lausanne’s fame as a refuge for royalty and aristocrats from around the world’. Complementing the historic building in the 'Grand Château look' will be a new construction divided by a 5,000 sq m park. 'We are continuously exploring investment opportunities in hotels in international markets that have set the standards in the global hospitality industry. Our current presence in Europe is strong and we are continuing to acquire, develop and open iconic hotels across the continent,' says the CEO. 'Next year, will see the opening of several iconic hotels. While we have our eyes on particular properties that have set the standards in the industry, we look to add acquisitions to our portfolio as and when the time is right. 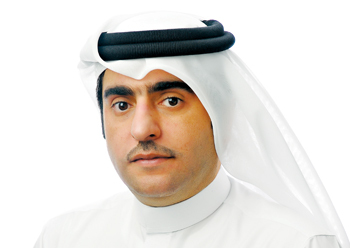 We expect to invest in other markets, including Germany and Mediterranean countries,' explains Al Mulla. While Europe remains a key focus for international expansion, the company is keeping North America and Asia on the cards. As well as global expansion Katara Hospitality also remains active on home grounds. 'We have many people visiting Qatar from all over the GCC, and continue to promote the attraction of the country for both leisure and business tourists. Most of the visitors we see in Qatar are from our neighbouring GCC countries, primarily Saudi Arabia and the UAE. The latest under the Murwab brand is the recently opened Saraya Corniche Hotel in Doha. 'Over the next year, we will see the opening of an additional four properties in Qatar managed or operated under the Murwab Hotel Group along with the opening of the Royal Savoy Hotel in Lausanne part of Murwab’s Bürgenstock Selection soft brand in November this year,' says Al Mulla. All hands will be on the deck at Katara Hospitality in 2016 as the brand looks forward to yet another busy year. The Sealine Beach Resort in Qatar will be upgraded with an additional 20 new villas as well as the detailed landscaping of the existing chalets, villas, indoor and outdoor facilities. The Ritz-Carlton, Doha will undergo a phased renovation of rooms, spa, lobby and restaurants. The Doha Marriott Hotel will also undergo a full phased renovation towards the end of the year and the external façade and apartments of Somerset West Bay Doha will be refurbished. The year will also see the opening of the iconic Hotel Park, which will be located adjacent to the Sheraton Doha Resort & Convention Hotel and featuring a public landscaped park and four levels of underground parking. The company will also conduct feasibility studies and/or renovations of multiple iconic hotel icons including Raffles Singapore as well as The Westin Excelsior Rome. 'Finally, and as part of our commitment toward providing excellence when restoring properties, Katara Hospitality will always aim to strike the perfect balance between honouring the heritage of the properties while also instilling all the latest state-of-art in technology. This allows our guests to enjoy these historical hotels with the luxuries of contemporary hospitality,' explains Al Mulla, who has been with Katara Hospitality since December 2009.